Recording live is hardly somewhat of a novelty but in recent years it seems to have made a real resurgence among the most unlikely of bands. Last year, for example the technical behemoth’s that are Meshuggah released their new album recorded entirely live! Proof that regardless of how technical the material might be, it is possible to record live. Following up their 2012 effort Constricting Rage of The Merciless, Goatwhore resolved to change their recording habits of working with esteemed Metal producer Erik Rutan and instead bring a whole new idea to the table. Known for their phenomenal live shows, Goatwhore not only have a precise sound but an aura live that is not easily replicated. Wanting to bottle this sense of cacophony, tracks on their brand new record breathe fantastically. Title track “Vengeful Ascension” moves at a more lugubrious pace than what we might be used to from the Louisiana mob. Yet whilst the band might have slowed down, their claws have not been dulled. Often a problem that I have had in the past with Goatwhore material, yes the songs are absolutely brilliant. However owing to the similar structure many of them can become convoluted and end up sounding incredibly similar. Grave Vengeful Ascension however understands each track and where it sits in the album. Instead the likes of “Where The Light Is Silent” brings more elements of Black Metal to the fore, giving it differential qualities. Conjuring up frost bitten vistas that would sit just as well with Immortal than they would with Entombed. Though the band might be in more of an experimental mind, there are classic Goatwhore still riffs aplenty here. “Drowned In Grim Rebirth” for example working with Sammy Duet’s tremolo style picking perfectly. On par with the likes of the Carving Out The Eyes of God classic, “Mankind Will Have No Mercy” is sure to be a crowd favourite in set lists to come. Here is where Goatwhore have achieved what they have set out to do. Recording to tape the band have bottled their feral nature as Ben Falghoust’s words positively pounce out at you through the speakers. 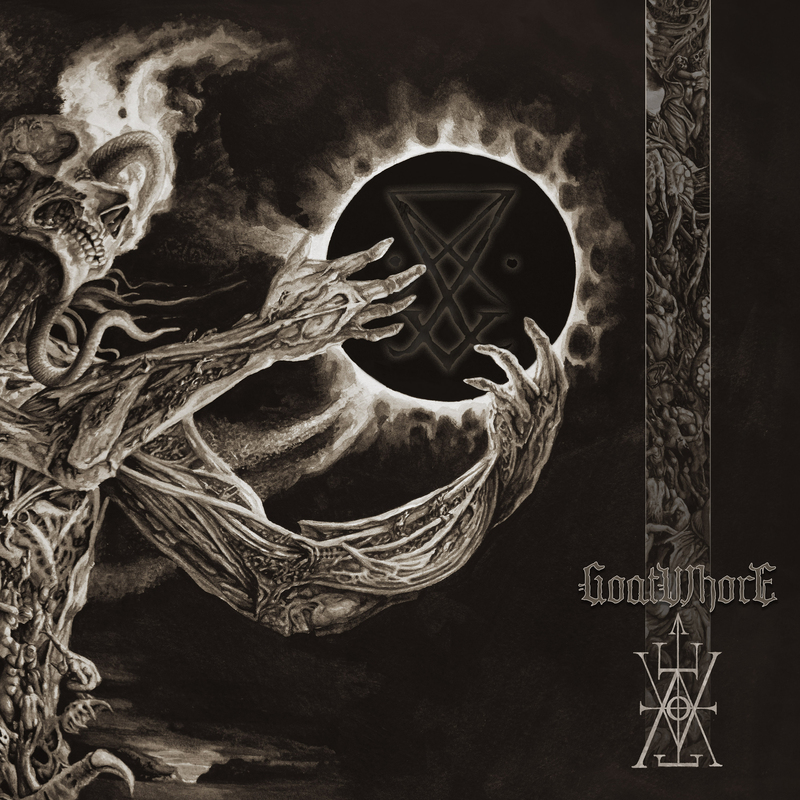 With Vengeful Ascension, Goatwhore have proven themselves to be one of Metal Blade’s premiere acts. Making the record the most comprehensive listen the band have released to date.